Dark mode is an unusual feature of Smartphones as it provides more convenience while using the phone in low light. If you use your phone in low lights without enabling dark mode on your phone, you may face eye burn. It means you cannot use your phone comfortably in low lights. Most of the phones nowadays have dark mode option. You simply have to turn that dark mode on, and it will allow you to work easily on your phone. On the opposite hand, when it comes to iOS 11, you don’t have a direct option to enable dark mode on your iPhone. Apple has not announced this option as dark mode yet. But, don’t worry if you want to get the iOS 11 dark mode on your iPhone or iPad. It is straightforward and easy to perform. All you need is to adjust the colors on your iPhone. In the previous versions of iOS, Apple launched an option named invert colors, that is pretty similar to dark mode. 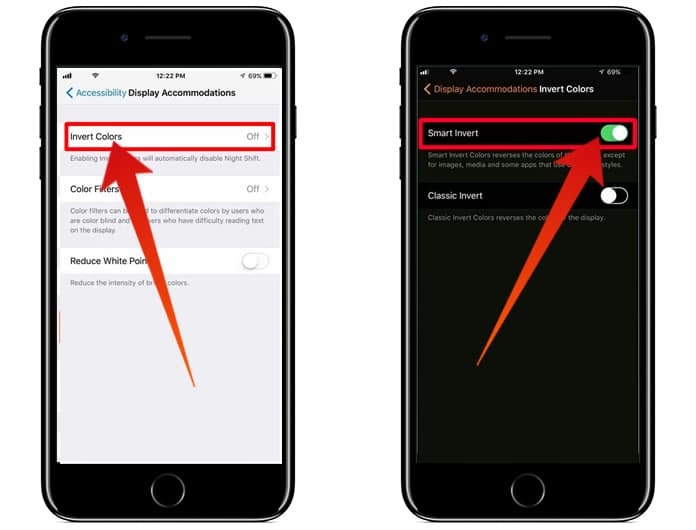 This option was to enable dark mode on iPhone and iPad, but it was not available directly. Similarly, on iOS 11, you will have to do some steps in order to get dark mode on your device. Here is the complete step-by-step process of how you can enable dark mode on iOS 11. 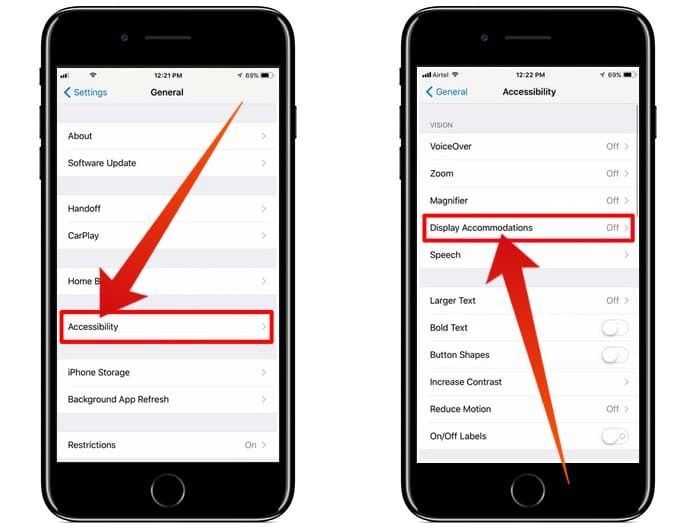 Step 1: First of all, go to Settings app on your iPhone or iPad. Step 2: Now click on General option and tap on Accessibility. Step 3: Here you will see an option named Display Accommodations. Click on it. Step 5: Now you will see two options as Smart Invert and Classic Invert. Step 6: The Smart Invert is the new feature of iOS 11, and it allows you to enable dark mode on the entire device i.e. while browsing, using your favorite apps or surfing the internet. Step 7: The Classic Invert is the same feature as it was in the previous versions of iOS. Step 8: Now click on Smart Invert to toggle the switch. You have successfully enabled dark mode on your iOS 11 device. Now you can easily use your mobile in low nights to avoid eye burn and to use your phone without any problem. The process of disabling the dark mode is the same. 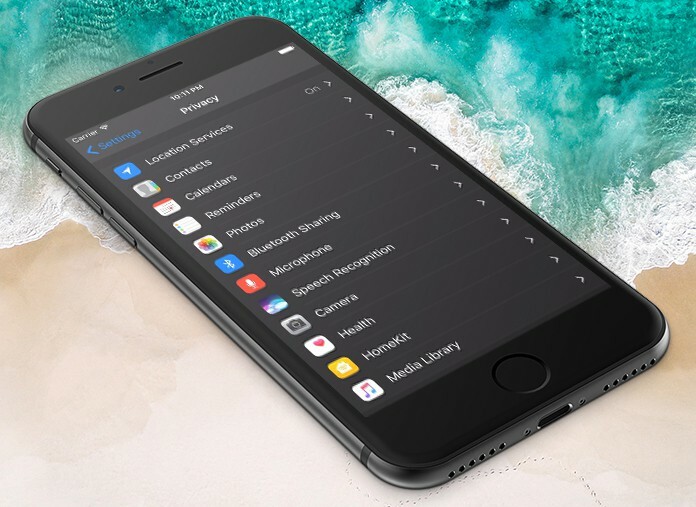 Simply follow all the steps and turn off the dark mode on your iPhone and iPad. Although it is not a quick method, yet once you get it, you will be able to enable and disable dark mode easily on your iOS 11. On the other way, if you want some really quick dark mode access, you cannot do this. You can, however lower the brightness that will provide you more eye protection and comfort while using the phone in low lights.